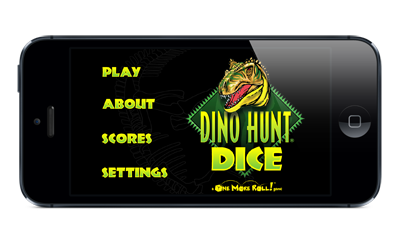 For the iPad, iPhone, and iPod touch. 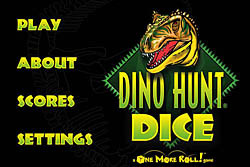 Based on the original Dino Hunt Dice . 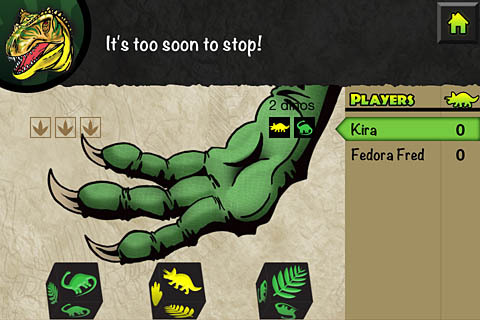 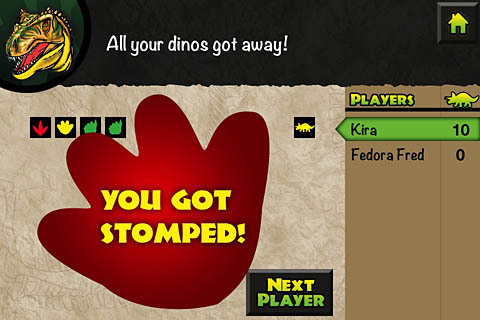 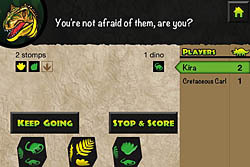 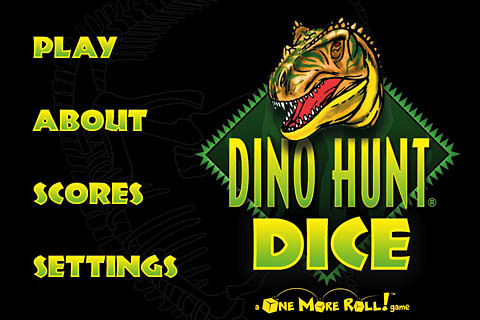 . . but now the dice – and the dinos – are in your iPhone, iPod Touch, or iPad! And it's free! Push your luck to catch as many as you can, but stop rolling before you're stomped three times, or you'll lose them all. 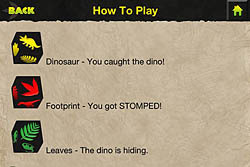 Catch 20 dinos to win the game!